When Chatime came onto the scene there was tons of hype, but I had doubts whether they could take on the bubble tea behemoths like Ten Ren who have dominated the Toronto drink scene for so long. 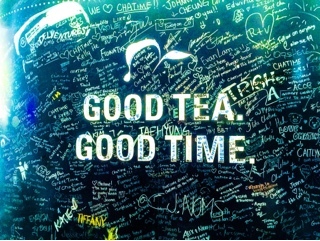 After five years in Canada, it’s safe to say they can certainly dominate and don’t rest on their laurels - Chatime regularly innovates their stores by incorporating them with Bake Code bakeries and most recently started partnering with Masterchef contestant Baker Chris Siu. 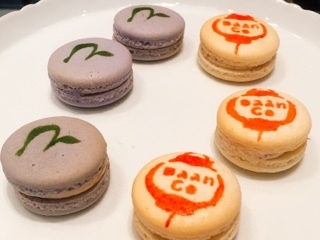 Siu is known for his delicious desserts and soon participating establishments will carry macarons, including one incorporating Chatime’s famous roasted milk tea ($2.60). For those who like something different, try the lap cheong maple macaron ($2.60). Made with the Chinese preserved sausage, which is already slightly sweet and savoury, candied lap cheong is mixed into a maple syrup buttercream so the pastry is still sweet but has a hint of saltiness. Nonetheless, the chain doesn’t simply rely on adding food items to menus. Recently, they have launched a new line of drinks that aim to be colourful naturally. Butterfly pea tea is used in most of the drinks as the base – its flower long used in Southeastern Asian cooking as a natural food colouring, adding a royal blue hue that even Kate Middleton would love. When combined with something acidic (like lemon or lime), the tea transforms into lovely violet, with other hibiscus flowers the drink can turn red. One uses hibiscus tea instead, which has a lovely fuchsia colour and tastes fruity and tart like cranberry. Grapefruit Blush: When the sun first rises and the sky transforms from red to blue. 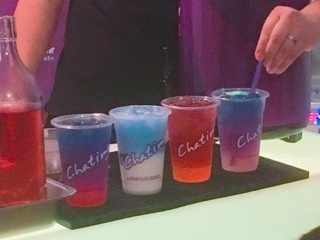 The drink is the prettiest in the line with three different jewel toned colours. It’s citrusy but still sweet, a nice “lighter” one if you’re not in the mood for strong flavours. Coconut Daydream: As the day enters into afternoon the sky (assuming it’s a sunny day) is a vivid blue capped with puffy white clouds. Here the butterfly pea tea is void of acid so stays blue. Of all the drinks this is the richest (on account of the coconut syrup and fresh milk) and could even resemble a cold latte. Trust me; if you’re a milk tea fan, this is one to try. Hibiscus Sunset: A gorgeous red and orange to replicate the sun setting. Although it doesn’t use any of the butterfly pea tea, it’s one of the fruitiest drinks with passion fruit and lychee flavours. For those who like fruity green teas (mango green is one of my favourites), this is an ideal substitute. Starry Lemon: The darkest of the drinks resembles looking into the evening sky … dark but with some blue and clouds shining through. 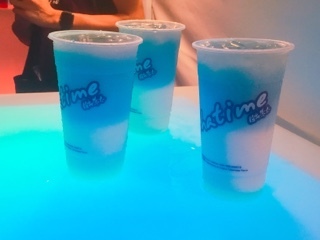 As indicated in its name, this drink is tarter due to the lemon and one of the most interesting because how it looks has no resemblance to its taste. Woah… mind games! Sure, the teas look gorgeous, but the best part is that they can look tropical without relying on dyes. 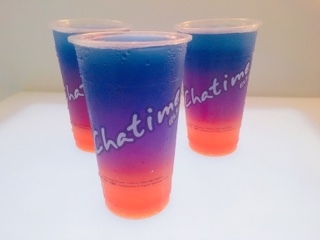 Chatime wants customers to be able to order something that looks cool but is natural and benefit from the antioxidants found in colourful teas. 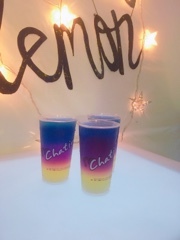 Don’t worry about the drinks getting jostled: it will combine into one colour when stirred, but then separates into distinct layers after the liquid settles – just imagine the fun children will have with these! There’s already limited syrup used in the drinks, so you don’t need to go half sweet. Anything less and you’ll likely not get much sweetness at all. You’ll want to ensure there’s ice in the drink (this is to the “no ice” fans). You need some of the coldness and they expect some dilution. Otherwise, it may alter the taste of the tea. Lastly, they suggest not adding anything into the drinks (i.e. tapioca, QQ jelly, etc.) The ingredients have added sugar and syrup, which may not taste the best with the Twilight series. I applaud the inventive step and am glad to see Chatime’s a company that continues to innovate to stay relevant. However, I personally think the Hibiscus Sunset would pair so nicely with tapioca – I ALWAYS get tapioca in my bubble teas. Perhaps I’m wrong, but I’ll have to go back and do some experimenting … all in the name of food science, right?